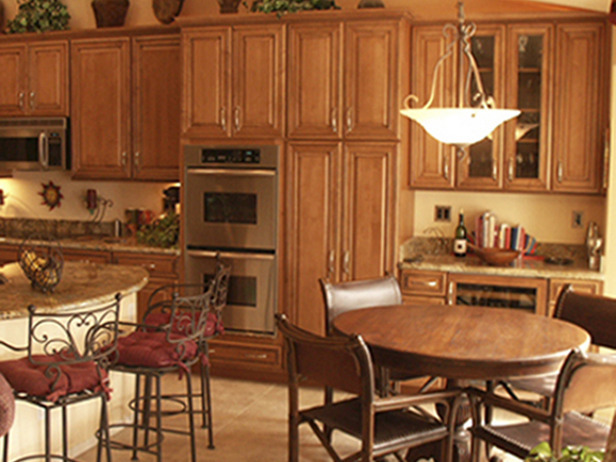 Kitchen and Residential Design: Is this Italian style? When I think of Italian design and Italian style, especially when it comes to kitchen designs, my mind goes to rooms that look like this beauty from Snaidero. However, I have a feeling that Snaidero is showing me Italian style for export. Oh it's authentically Italian, it's just that it's on a scale that I suspect wouldn't work in Italy. Most Italians don't live in homes large enough to accommodate something this size for starters. My firsthand experiences with Italian kitchens, though limited, are pretty far removed from the Snaidero room above. I can remember seeing a kitchen showroom in Rome and wondering what my work life would look like if I were to ply my trade in Italy rather than in the US. I suspect that it would look more like the following kitchens from Acquario-Ceramiche in Padua. I have a feeling that those kitchens from Acquario-Ceramiche come a lot closer to authentic Italian kitchens than a lot of what passes for "Italian" in the US. Maybe one of my Italian readers will weigh in on this pressing question. Do contemporary Italians look to kitchens that look like the ones shown by Acquario-Ceramiche as something to be emulated? Is this Italian style? Personally, I really like Snaidero and have written a number of blogs on them. Actually, I like Italian design period and am forever oohing and aahing over the designs I see from Italy. If I think of “traditional Italian design,” I think more in terms of the type of kitchen you’ve shown here. These look like a portly mama is about to enter and throw on a pot of spaghetti that makes you swoon with ecstasy when you eat it. But, really, for me, Italian design is very much cutting edge. I love what they do with minimalism. Are Snaidero kitchens the type one would most likely see in Italy? Because of the expense of them, probably not. But that’s true no matter where you are. 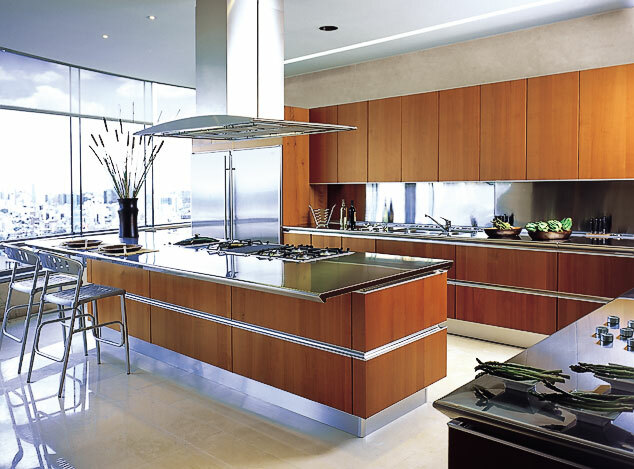 My personal favorite of Snaidero designs is their Acropolis kitchen. I wrote about that one some time ago, and a few weeks ago I was in Los Angeles for a press conference and had an opportunity to see it in person. As it turns out, they charge some $185,000 for this particular design, which is considerably more than I can afford for a kitchen design, but it’s awesome work all the same. I love Snaidero too. They are in the throes of opening a new showroom in New York that will raise the bar on kitchen showrooms considerably. But I suppose Snaidero is to run-of-the-mill Italian kitchen design what Christopher Peacock is to American Woodmark.